We caught a glimpse of a Verizon-branded Windows Phone 8 handset by the name of Atlas in a leaked image yesterday, and now new photos give us a closer look at the smartphone. According to WMPoweruser, who received the photos from a tipster, the device is a Nokia Lumia 820 variant and will be exclusive to Big Red as the Lumia 822. Though it's riffed on its progenitor's design, the mobile will keep the same 8-megapixel rear-facing camera. There's still no official word from Verizon or Nokia regarding the phone, but we expect that to change relatively soon. 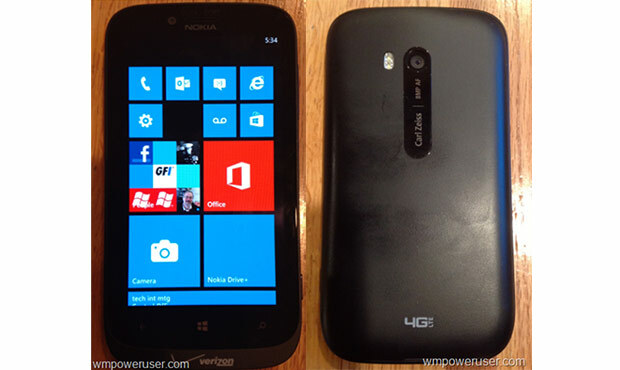 Verizon-bound Nokia Lumia 822 surfaces in leaked photos originally appeared on Engadget on Wed, 10 Oct 2012 19:04:00 EDT. Please see our terms for use of feeds.